Most boating accidents are caused by some form of preventable negligence – Much of the damage, injuries and deaths caused by boating accidents could have been prevented if someone had been more careful, attentive, experienced and/or sober. At the Amaro Law Firm, our Houston lawyers know how devastating boating accidents can be – and how critical it is to have the right legal representation in the aftermath. That is why our attorneys have dedicated decades to helping boat accident victims and families pursue the justice and financial recoveries they deserve. Skilled, diligent and tenacious, we are ready to help you build a strong claim and successfully navigate the recovery process. During your FREE consultation, we will review your potential claim, explain your rights and point out your legal options. If you can’t visit our offices, we offer free virtual and mobile consultations. In the aftermath of a boat accident, determining the exact causes – and whether negligence was involved – will be pivotal to uncovering the options for financial recovery. Watercraft, such as the required life-saving gear, lights and other safety equipment for vessels. While failure to comply with Texas boating laws can result in fines and other penalties, it can also cause boat accidents, injuries and/or deaths. When the latter happens, negligent boat operators, owners and/or others can be liable for compensating victims for the injuries, harm and losses they have sustained. Boat accidents can cause a range of injuries, from physical harm that leads to permanent impairments to psychological damage that may have lifelong impacts. Traumatic brain injury (TBI), spinal cord injury and disfigurement are among the most common types of boat accident injuries. Getting medical treatment should be the top priority immediately after a boating accident happens. An attorney at the Amaro Law Firm can provide essential help, support and representation when it is time to move forward with the legal options and seek financial recovery. 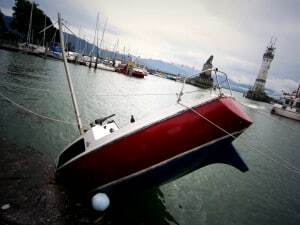 A Houston boat accident lawyer at the Amaro Law Firm has the insight, skills and experience you can rely on for exceptional advocacy in your claim. Tenacious, diligent and strategic, our attorneys can help you hold all negligent parties liable for your boating accident while positioning your claim for the maximum recovery. The Amaro Law Firm’s history of extraordinary representation and success in boat accident (and other personal injury) claims has earned us glowing testimonials from former clients, as well as 5-star ratings on Google and Facebook.